Las Vegas’ airport soared to record heights last year, when it saw the most travelers pass through its gates in its 70-year history. 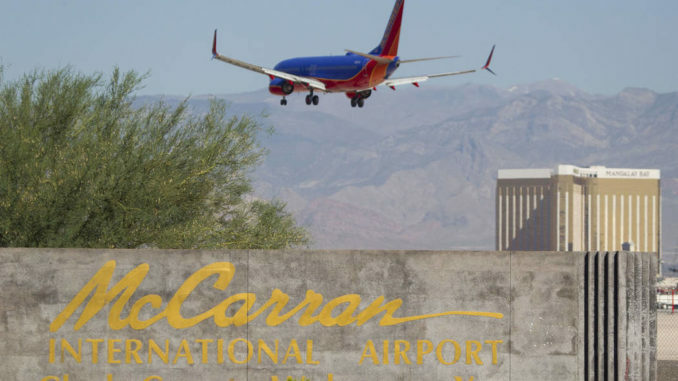 McCarran International Airport saw 49.7 million passengers arrive and depart its gates, setting the all-time passenger volume record at the airport, the Clark County Department of Aviation announced Thursday. The occasion marks the second straight year the airport bested the record yearly high, as 2017’s 48.5 million passengers broke the previous mark of 47.7 million passengers set in 2007.